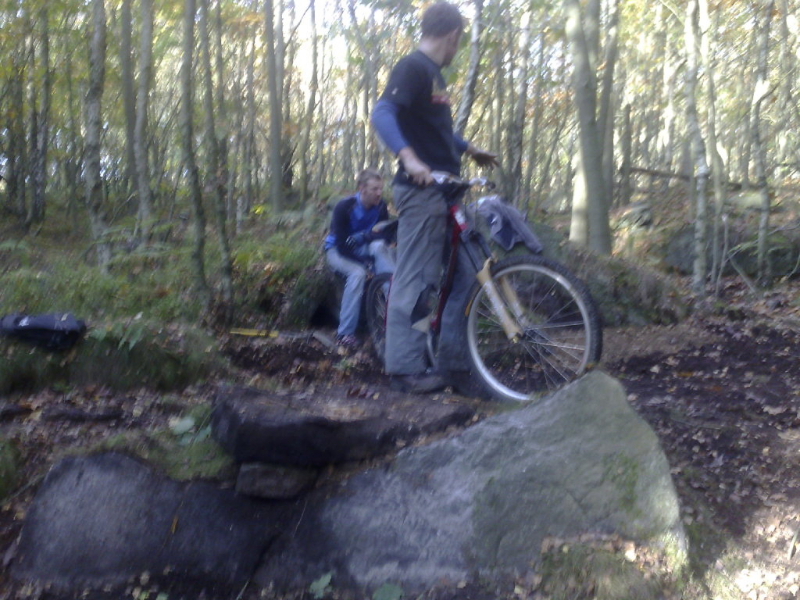 Wharncliffe Woods is a steep and rocky wood situated on the Northern fringes of Sheffield. It has been home to an underground downhill scene for a number of years and is famed for its super technical rocky drops and being the training ground for Steve Peat. 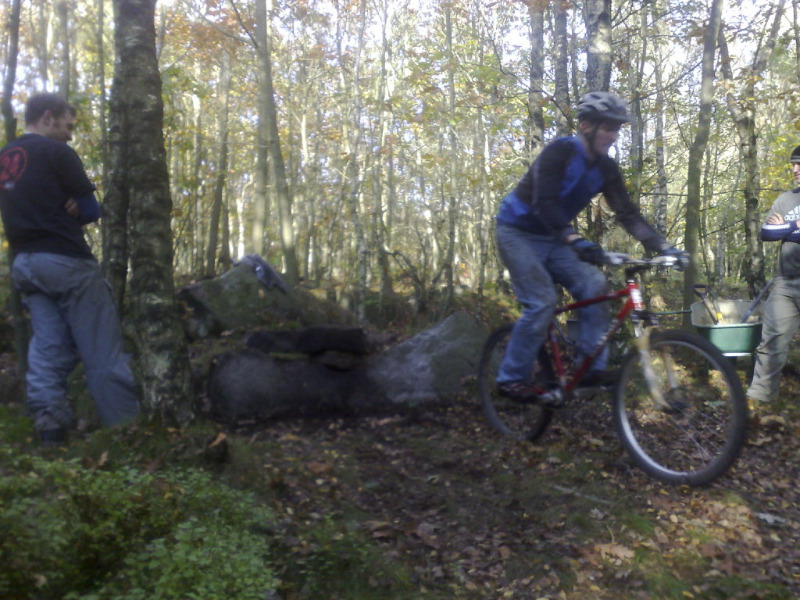 The wood is also popular with the trail riders, seeking out some of the fantastic woodsy technical single track, and getting very lost in the process. 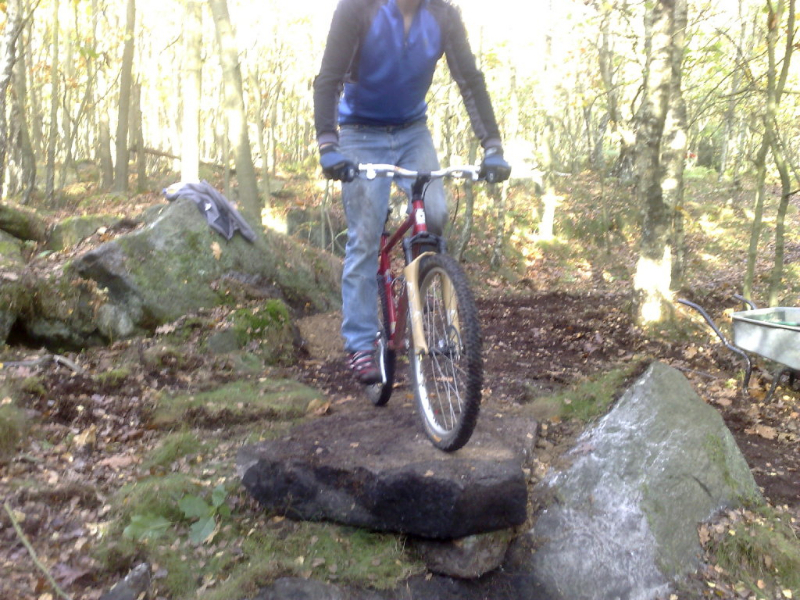 An area of the woods is designated as a mountain bike area. 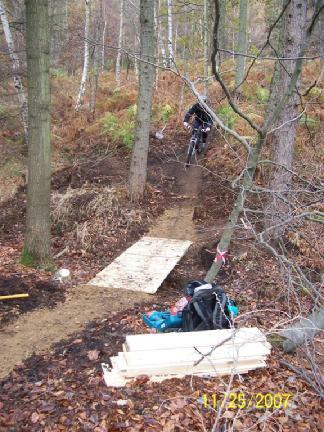 There was an XC course started a few years ago but it hit one or two snags. Head right out of the back of the car park and the trail starts on your right. After that just follow you nose as there are lines everywhere. 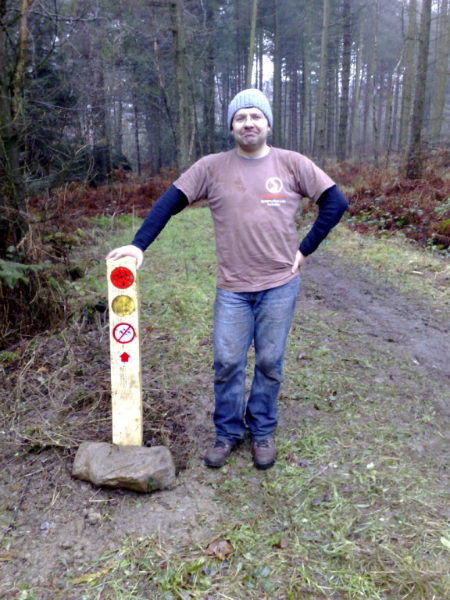 Further improvements to the XC trails will only happen if someone with lots of energy and patience can take up the baton and re-open a dialogue with the FE. 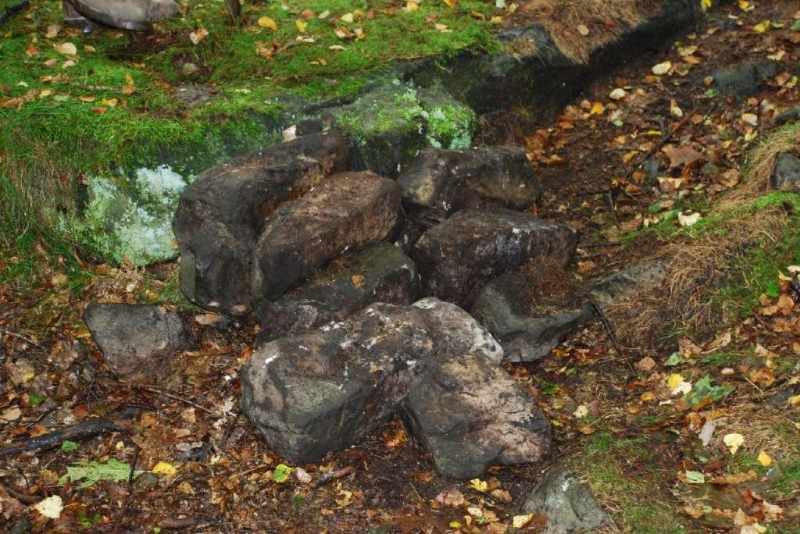 There has been a lot of disinformation recently about what’s happening at Wharncliffe. I wanted to take this opportunity to make it clear why we are at where we are. 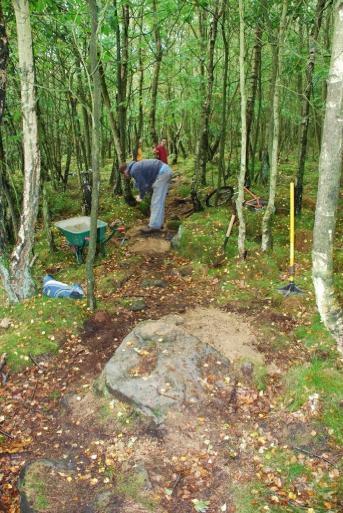 If anyone wants to get involved with the trail developments then anyone is welcome to join in, everyone’s opinion counts, everyone’s effort is more than welcome on dig days, it’s no secret society and certainly NOT a closed group. If you need more info don’t hesitate to email / phone / carrier pigeon either Phil (Gravity-Slaves) Chris (Reluctant head of DH dig days) or me any time. 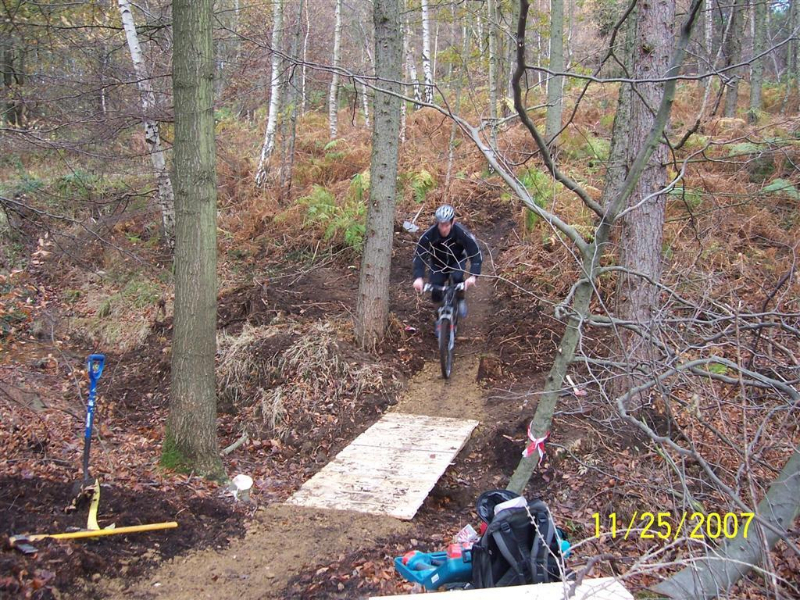 In the end all the group want is to secure wharncliffe as a permanent MTBing venue and extend the amount of riding available to users. 24 months ago the FC had serious complaints from the horse riders at Wharncliffe. This was due to some near misses with horses as riders exited plank gate. The FC asked for local people to come foreword to represent the MTB riders in order to solve the conflict issues. This message reached several people who decided they had time and the inclination to liaise with the FC. Phil who runs Gravity slaves being one of them and Rob (DLC) who was the main contact. The FC asked for a local group to be created, The Wharncliffe Riders Collective, WRC, and plans to be written up for XC and DH. 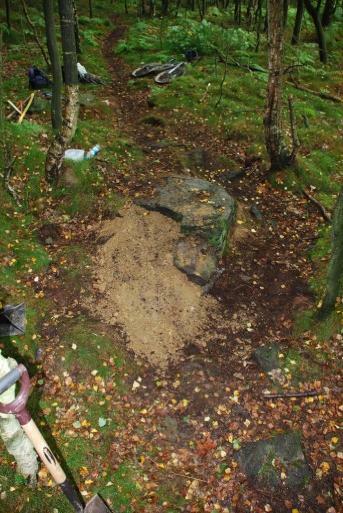 This included creating a DH MTB area basically from jump spot to waterfall. 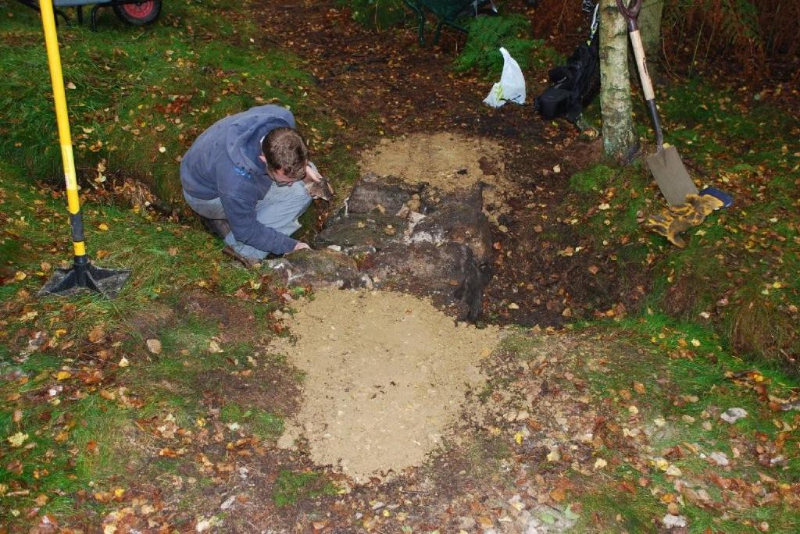 The plans took ROB about 40 man hours to write up. These are loose plans that are for an FC process called an OPS 1. 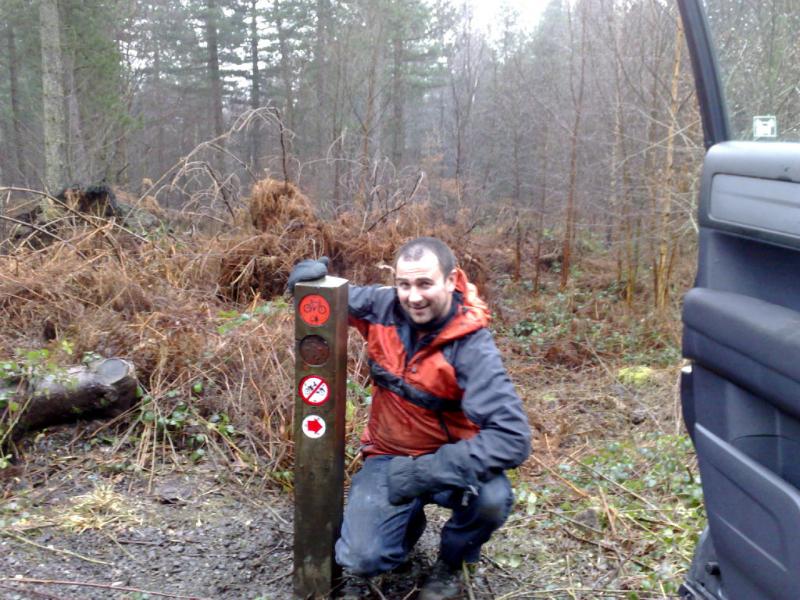 This allows the FC to bounce around ideas within there organisation and see if there are any objects from any of there departments, such as forestry, H&S or conservation. 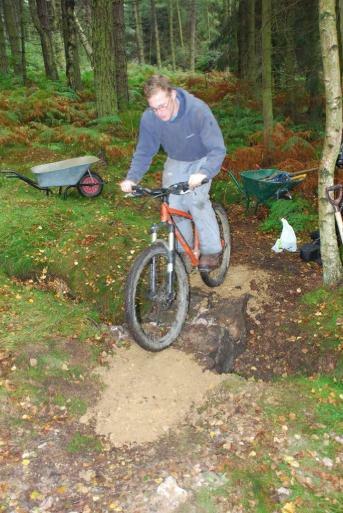 This OPS1 gave the go ahead for the XC trail last year. From the FC’s point of view the DH’s priority was to sort the exits onto the Trans Pennine Trail (TPT), and this is all they really wanted to do. 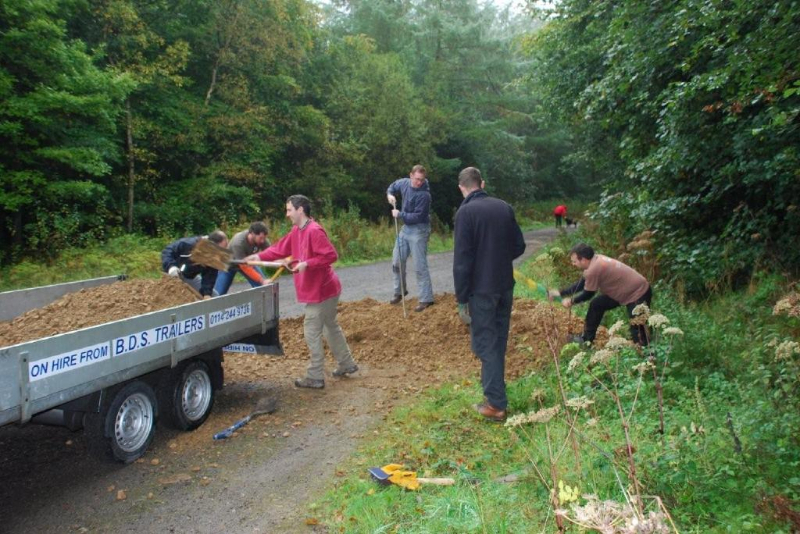 The WRC’s idea was to put the local riders in a position where we could enhance / improve / build more lines / free ride / 4X areas in the woods. In order to gain credibility with the FC it was decided on two paths to take. Firstly to affiliate with Singletraction. They have a track record in handling large projects that are funded by grants. 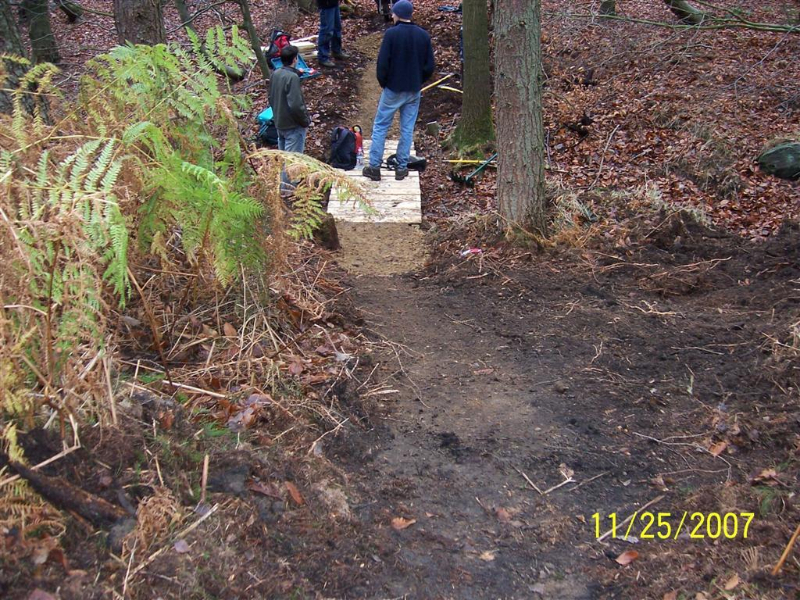 This is key to our future development as daily many of us are involved in trying to win Grants for both XC and DH Trail building. 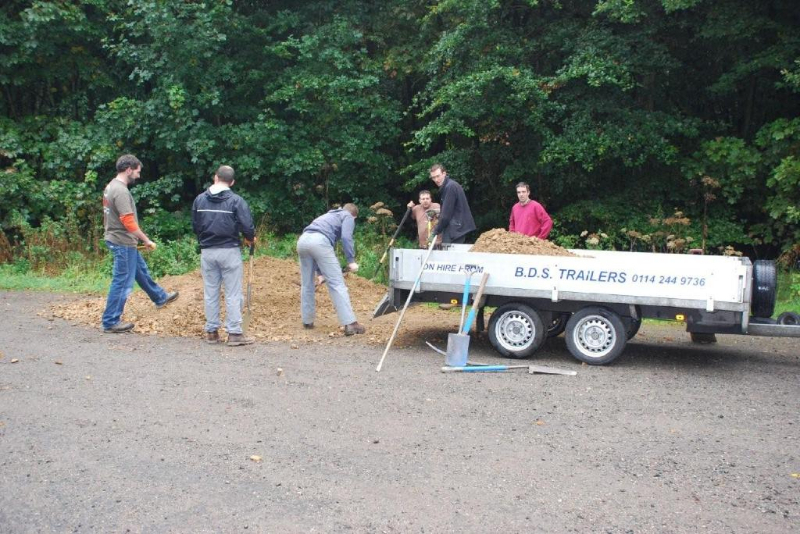 To date we have raised around £2,500 from private companies (BT, Five Ten, and Avanti Conveyors). We are aiming for funding of six figures. Going for funding like this needs buy in from the FC. Secondly, in order to get the FC to see our groups as a serious dedicated group we elected to start work on some areas of Fastrack that they saw as an issue. Again the idea was to show that we now have a group that can work in a responsible and professional manner to plans agreed with the FC. One of the main issues they have is with avoiding claims cases. Any claim the FC loose would come directly from FC’s normal revenue. They have NO insurance as they are a Govt agency. So solving any push up issues was a priority. 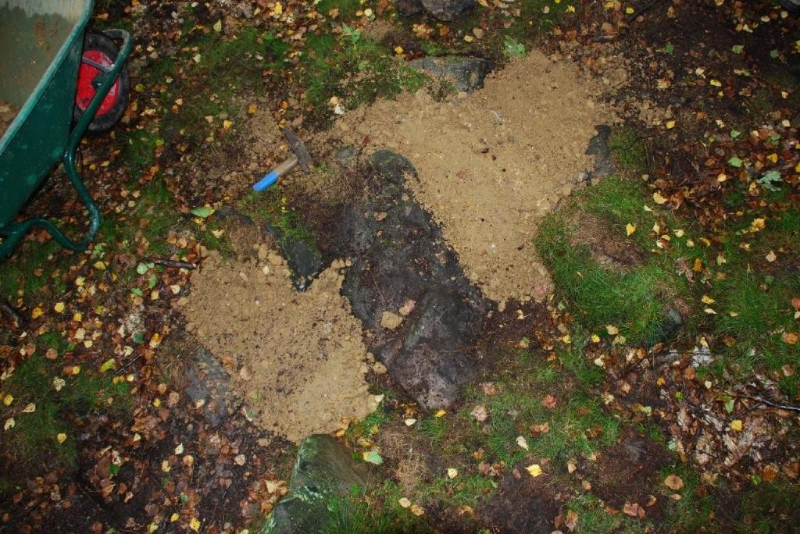 The work on Fastrack was aimed to enhance what was there, Make some parts safer (e.g. 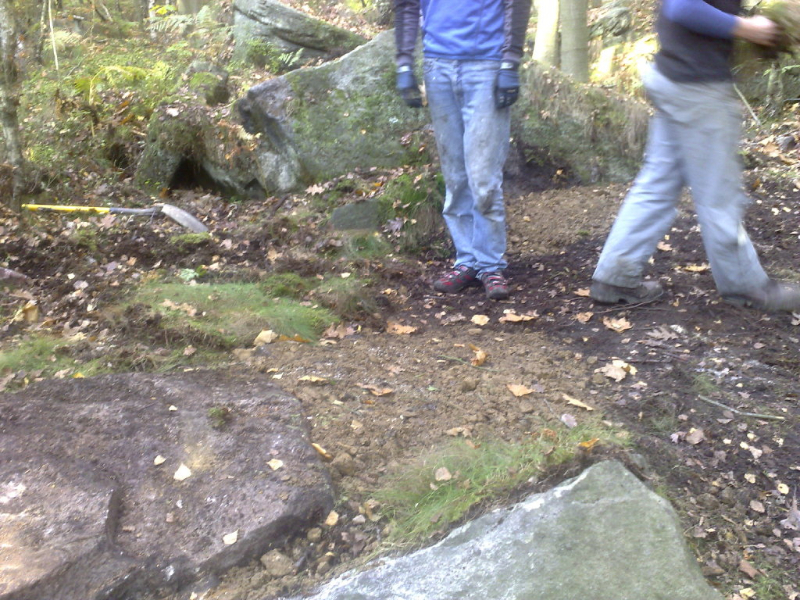 the new push up route around the switchbacks) and to cure some old problems such as the bog in the middle, a new line in the centre to avoid the bog was the easiest solution without massive investment of machines and materials. That’s some back ground on how we got to where we are, Recently I met with the FC and our contact said Specifically that a lot of ground has been gained with the FC in the last 18 months as it’s the first time there has been a consistent group at Wharncliffe who have proved there worth with actions. That just goes to show what a great effort and commitment everyone has contributed over the last 18 months, WELL DONE ALL! 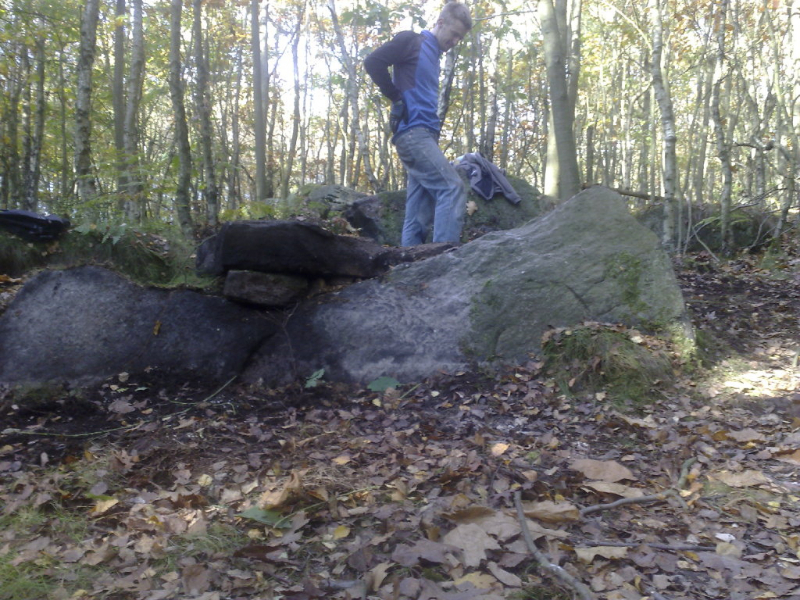 FE requires all trail builders working within the woods on designated projects to hold third party liability insurance (in case someone is injured as a consequence of the building works e.g. a member of the public). 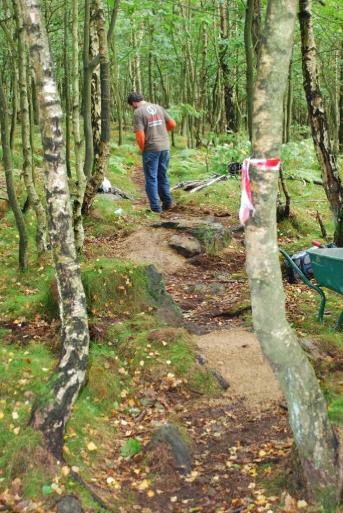 Trail builders without this insurance seriously jeopardise the future development of the woods. Like it or not, insurance is mandatory for many walks of life. Wharncliffe Woods are just north of Sheffield, the nearest village to the Car park is Grenoside, which has a number of pubs, and a chip shop which I have smelt on the way back from night rides, but never found. 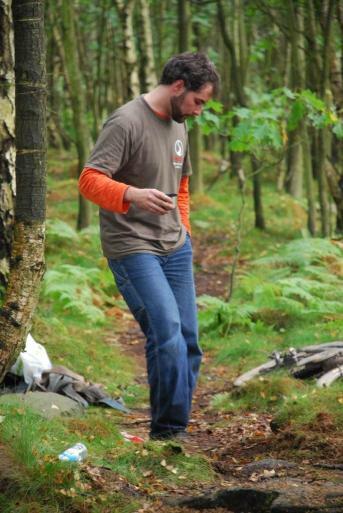 If you are coming any distance from North or South, the woods are about 10 minutes from the M1, J36 if you are coming from the North and J35 if you are coming from the South. Follow the A61, signed to Sheffield once of the motorway. Straight over the first roundabout, continuing on the A61, there is a McDonalds on this roundabout as a reference point, or if you feel the need. Carry on this road till you get to a 30mph zone, this is the edge of Grenoside. Take the first right hand turn, opposite the Norfolk Arms pub, and go straight up the hill to the Cross roads in the centre of Grenoside. Turn right Follow this road out of Grenoside and into the woods – the Car park is on the left about a mile from the cross roads. Take the first exit off the Junction roundabout – signed to Chapeltown (A629) Follow this road until you get into Chapeltown. Straight over the first roundabout (second exit) under the railway bridge and straight on at the second roundabout (which is the first exit unless you need snacks from the Tesco?s petrol station) Follow this road until you get to the Acorn Pub on the Right, about a mile and a half. Turn Left opposite the pub and follow this road to the top. Turn Left onto the A61. Carry on this road till you get to a 30mph zone, this is the edge of Grenoside. Take the first right hand turn, opposite the Norfolk Arms pub, and go straight up the hill to the Cross roads in the centre of Grenoside. Turn right Follow this road out of Grenoside and into the woods – the Car park is on the left about a mile from the cross roads.